Despite being a not-so-popular month for travelers heading to Bali, February is actually a fantastic time to visit the island. With a delightful average daily temperature of 27°C, Bali does see the odd overcast sky and rain shower – but these are heavy and short, meaning you can duck for cover for five minutes before heading back into the glorious sunshine. Here, we explore why the time is now to visit and take a look at the best things to do in Bali in February 2019! Celebrate Chinese New Year in Bali in February 2019! That’s right – Chinese New Year will be one of the greatest Bali events in February 2019. On 5th of the month, head to one of the island’s many Chinese or Buddhist temples, including Vihara Dharmayana in Kuta and Ling Gwan Kiong in Singaraja, to witness elaborate decorations, lion dancing, incense burning, traditional acrobatics and live drumming – making it an event for all the senses! Want to know where else you can celebrate Chinese New Year? Have a look at our list of the world’s most impressive celebrations. Offering the perfect weather and waves for it, surfing on Sanur Beach is one of the ultimate things to do in Bali in February 2019! The wind here is perfect between November and March, so take to the water and ride the tide on one of the island’s most acclaimed surf beaches. Try the Rip Curl School of Surf for a lesson you won’t forget! Various companies offer romantic dinners inside a candlelit cave on a private beach overlooking the shore. Companies like eOasia offer a totally private four-course dinner beside the ocean. Perfect for romantic anniversaries or special occasions, this sunset experience is totally once-in-a-lifetime. Definitely one of the coolest offerings in Bali in February 2019, private cave dining is a must for any bucket list ticker! Make your evening truly perfect by booking one of our incredible, hand-picked villas, scattered across the county. The Yoga Barn in Udub is the perfect place to try something completely new. 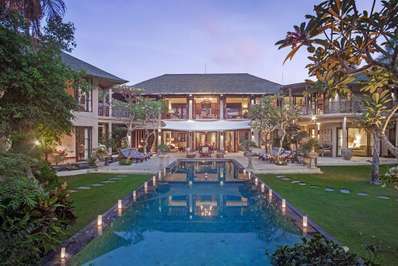 Offering a wealth of things to do in Bali in February 2019, from Balinese dancing to traditional Vinyasa Flow, the Yoga Barn has something for everyone. Those with more energy will make the most of the studio’s community AcroPlay workshops, taking place every Sunday at 4.30pm throughout February. The Studio also offers regular AcroYoga classes, a fun experience combining elements of acrobatic flows with therapeutic flying and Thai Massage – bliss! One of the most fascinating Bali events in February 2019 is Tumpek Wayang. The final and most sacred day of Tumpek in the Balinese Pawukon year, this event welcomes a shift in the seasons and brings together thousands for sacred reflection. The event is linked to Lord Kala, God of the Underworld; accordingly, to Balinese lore, any child born on this date carries negative energy. Locals host shadow puppet shows to scare Kala away and you can witness these fascinating performances in numerous temples across the island. 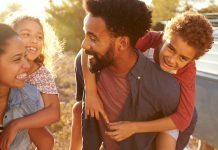 Discover more about the events taking place in Bali in 2019, with our dedicated guide. A must for adrenaline junkies is also one of the most exciting things to do in Bali in February 2019! The eOasia Volkswagen Safari and Ayung River Rafting experience is something you’re unlikely to forget. Your day starts in a Volkswagen convertible, as you traverse through Bali’s gorgeous rice fields. 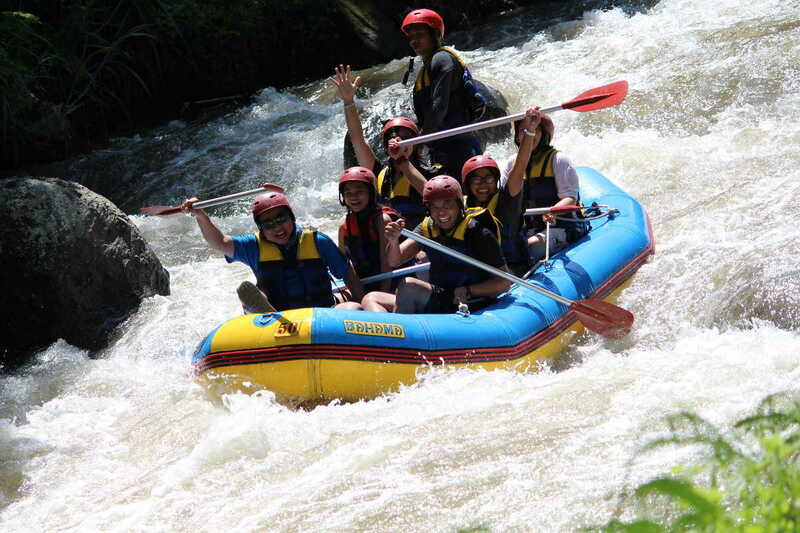 Later, you’ll enjoy white water rafting down the glorious Ayung River. The six-hour experience day will allow you to make friends, see new sides of Bali and try your hands at something totally unique – what could be better? The Marine Walk Bali might be the coolest experience you can enjoy in Bali in February 2019. You’ll be taken by boat to a special location and then wearing a special, see-through helmet you’ll be submerged below water to witness Bali’s wealth of tropical fish and corals. Experience the ocean in a brand new way with an activity for all weathers! Tumpek Krulut, also known as Compassion Day, will be one of the most colorful Bali events in February 2019. The annual celebration takes place every 210 days and this year it will be on 9th February. As one of the most sacred days on the Balinese calendar, Tumpek Krulut is an event when locals give thanks and show gratitude for their lives and their blessings. On the day, local temples come to life with visitors and locals, showing compassion to one another and taking prayers of thanks in a beautiful, community event. If you truly want an authentic Balinese experience, don’t miss out on the Kecak Fire Dance. This beautiful and dramatic daily nighttime experience takes place at Uluwatu Temple, overlooking the ocean. Around 80 dancers take to the water-front stage to perform extravagant chanting and dancing as the sun sets. Unlike anything you might have seen before, the Kecak Fire Dance is by far one of the most impressive and memorable things you can do in Bali in February 2019. 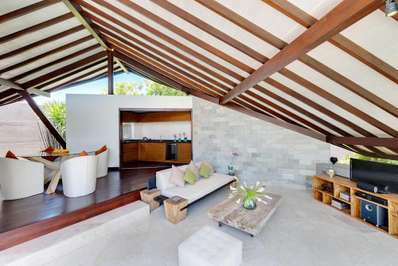 Don’t miss out on our incredible private apartments, found littered across the beautiful landscape of Bali. Thanks to its flat terrain and beautiful scenery, Mertasari Beach is perfect for runners. Every Saturday, a group meet on the seafront at 5.45am to hit the sand. Locals and tourists run a complimentary 5km along the shore at Mertasari Beach, just as the sun begins to rise! Walkers can also attend and everyone ends their exercise session with a nourishing breakfast at the Genuis Cafe in Sanur. We think it sounds like one of the greatest things to do in Bali in February 2019, don’t you? If you’re an adventurer at heart, take a look at our guide to why the north of Bali is great for adventure travelers!